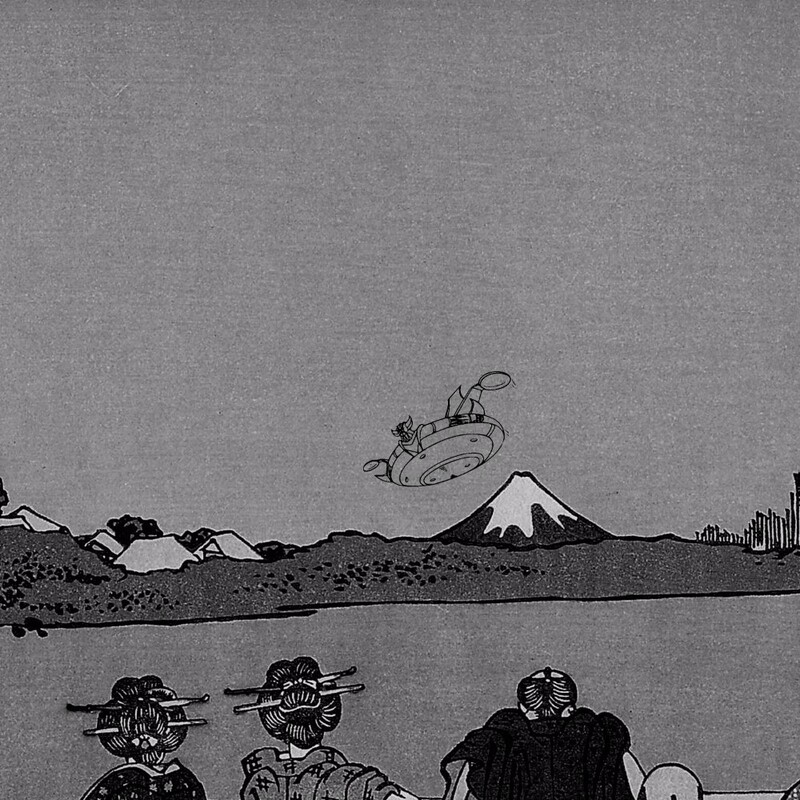 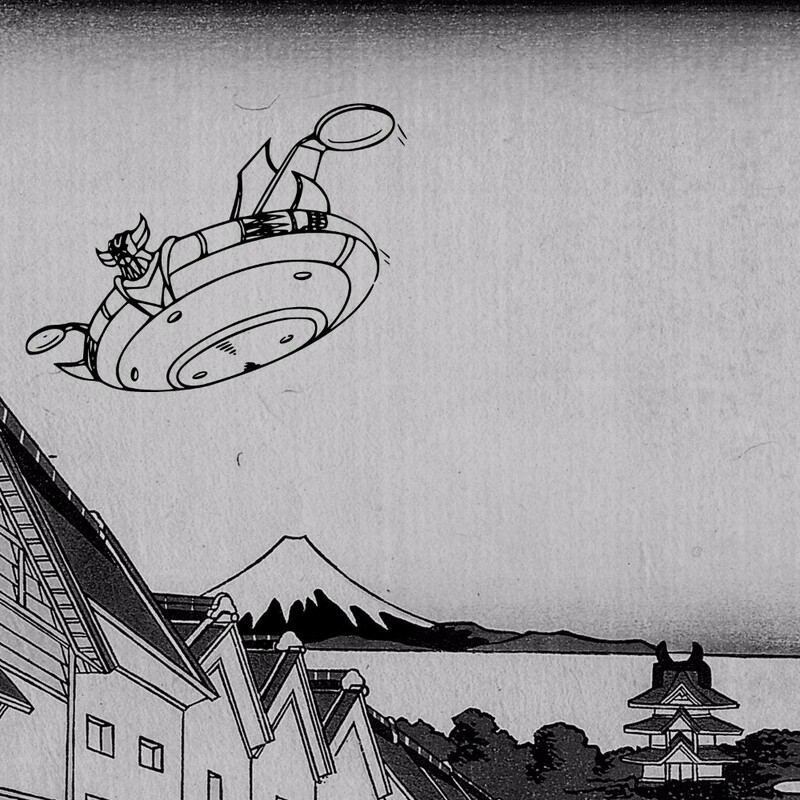 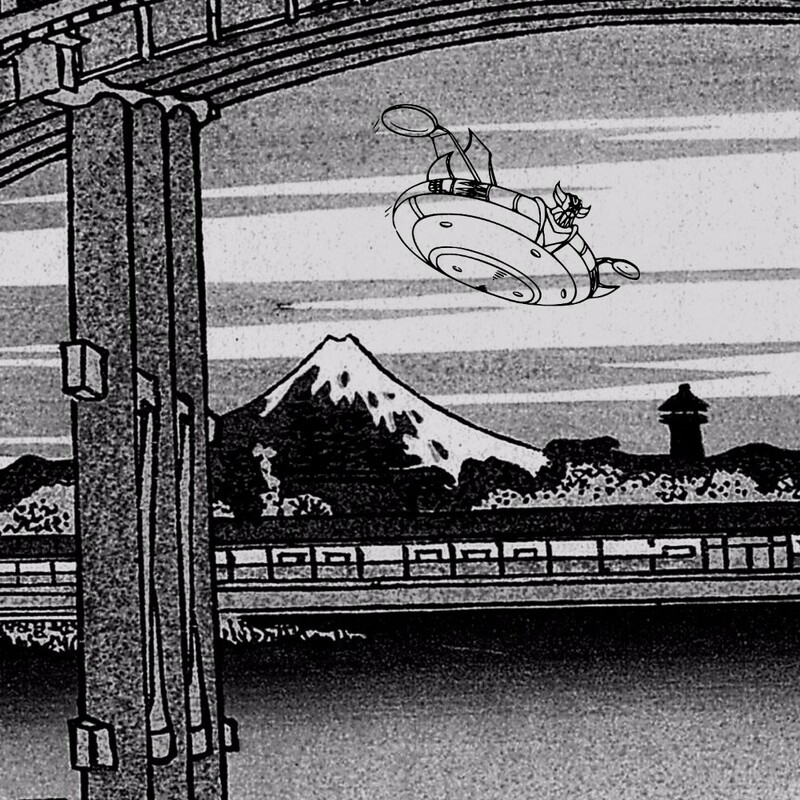 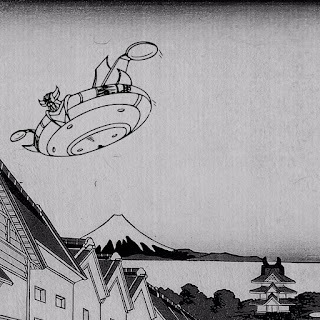 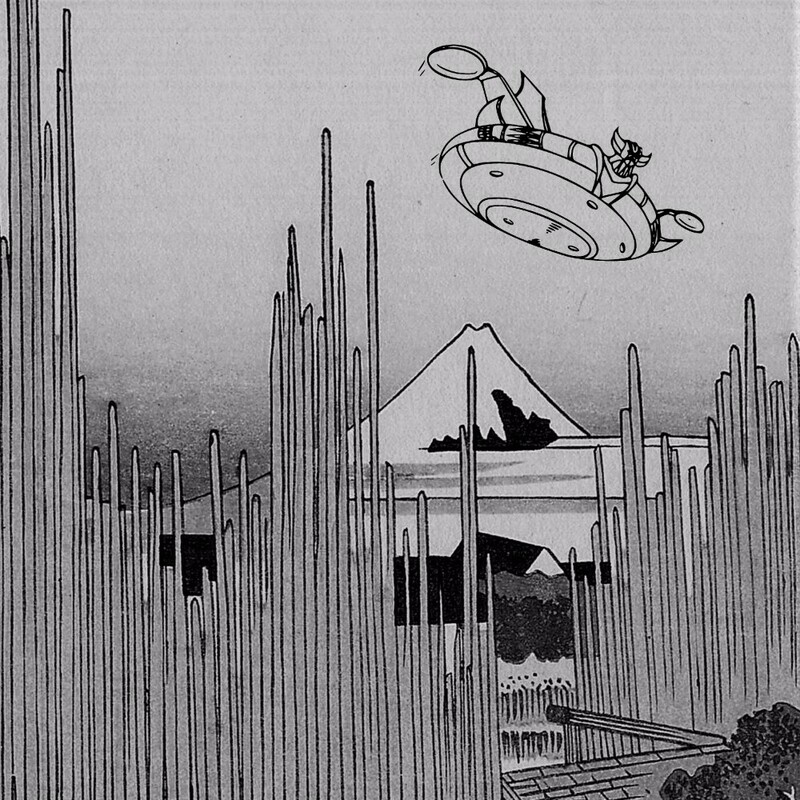 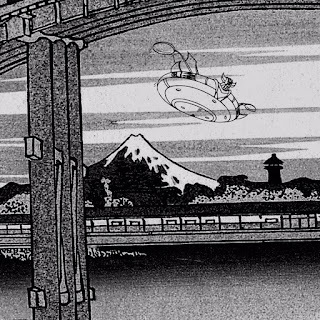 Goldorak crashed on Mount Fuji. 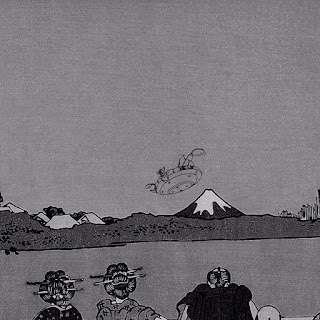 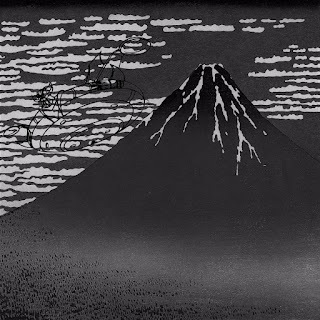 Mount Fuji was also on the backdrop of Hokusai's "the great wave" (seen in some history book as a child). 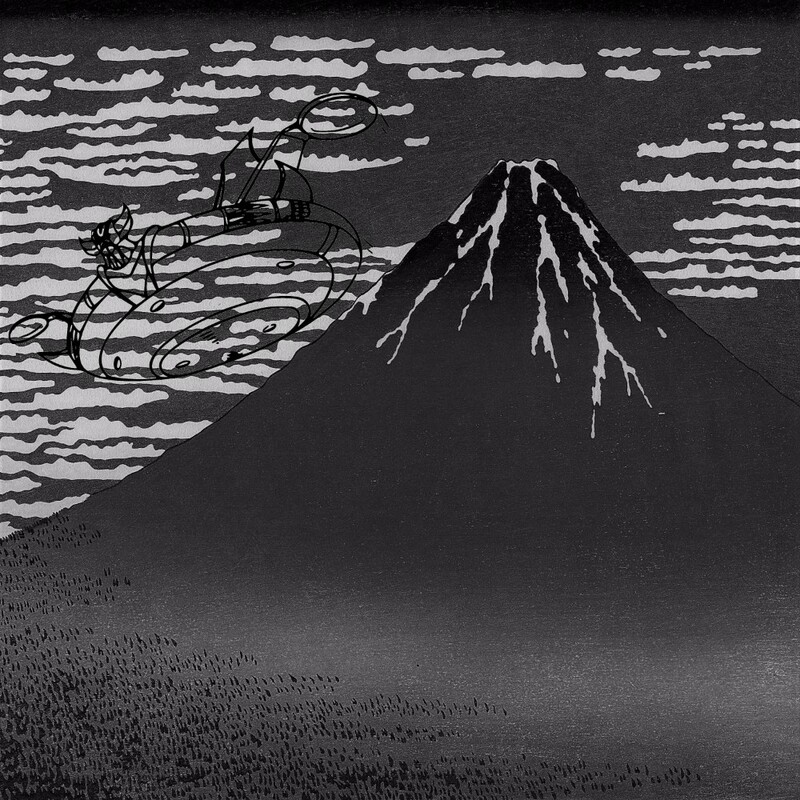 36 views of Mount Goldorak, a childhood distilled and dipped in everything anime. 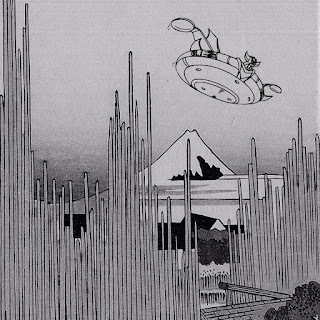 The original series is 36, plus 10 hence the 46 executions.